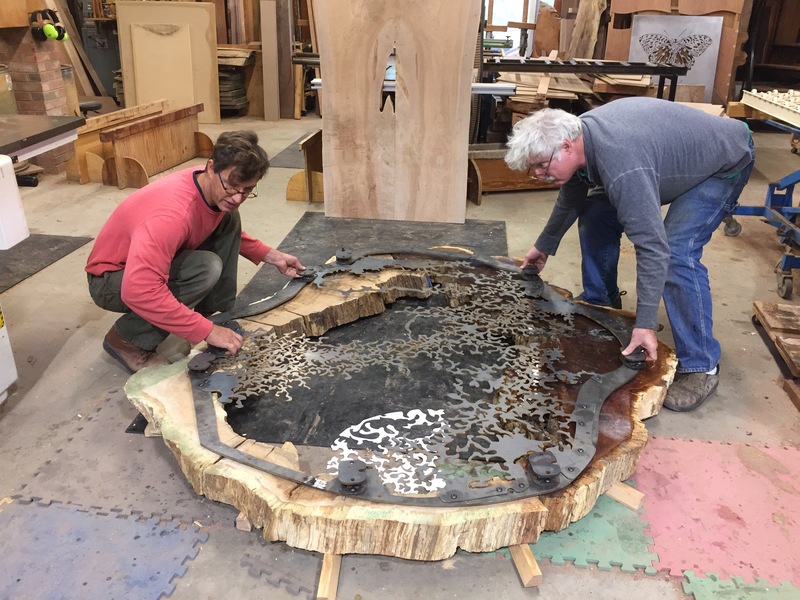 Chestertown, Maryland: From November 8th to December 19, 2018, a new collaborative exhibit by artist and craftsman Vicco von Voss, “Symbiosis,” will be on display Maryland Hall for the Creative Arts. The exhibit opens with a public reception on Thursday, November 8 from 5:30 to 7:30 PM at the Maryland Hall for the Creative Arts in Annapolis, Maryland. Based on the complex, complimentary interrelationship between two organisms, “Symbiosis” celebrates the rich creative atmosphere sparked by collaboration. Interwoven into Vicco von Voss’ woodwork are pieces by Sara Bakken, a fabric and glass artist, and metalwork by Blake Conroy. The three artists met at Massoni Gallery in Chestertown, Maryland, and were inspired to work collaboratively on a new series together. Informed by the necessity of symbiosis in nature—the butterfly to the blossom, the fish to the coral, the lichen to the tree—each artist’s contribution in “Symbiosis” is wholly separate yet deeply interconnected in work that explores the fertile interplay between different concepts, materials, and vision. 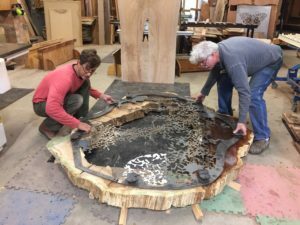 A keystone work in “Symbiosis” will feature the cross-section of an ancient tree that grew in a Chesapeake churchyard for 450 years. Cut into a round almost 20 feet in circumference, the magnificent ring becomes a palette to express and encircle the elemental interconnections between wood, metal, glass and fabric. Vicco von Voss is a woodworker and artist who creates sculptural, innovative pieces of furniture using salvaged wood from trees. Deeply informed by his spiritual connection to trees and the unique life energy of the materials he uses, Von Voss’ work combines traditional joinery methods with contemporary design elements—producing work that is sensuous in line, harmonious in form, and deeply reverent of the wood from which it is crafted. For more information about the “Symbiosis” exhibit or to attend the public reception, please visit www.marylandhall.org.